HURON, Ohio--(BUSINESS WIRE)--n2y, a leader in producing special education materials, today announced that its acclaimed curriculum solution, Unique Learning System®, was recently named the “Best Special Needs Solution” by EdTech Digest. Adding to its acclaim, Unique Learning System was also honored as a finalist in the “Best Lesson Planning Solution” category. Now in its 8th year, EdTech Digest’s US-based program is the largest and most competitive recognition program in all of education technology, recognizing the biggest names in edtech – and those that soon will be. The EdTech Awards were established in 2010 to recognize, acknowledge, and celebrate the most exceptional innovators, leaders, and trendsetters in education technology. This year’s finalists and winners were narrowed from the larger field and judged based on various criteria, including pedagogical workability, efficacy and results, support, clarity, value and potential. 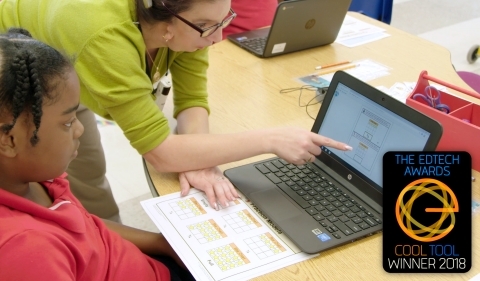 n2y Named "Best Special Needs Solution" for Special Education by EdTech Digest. CODiE also won "Best Solution for Special Needs Students."